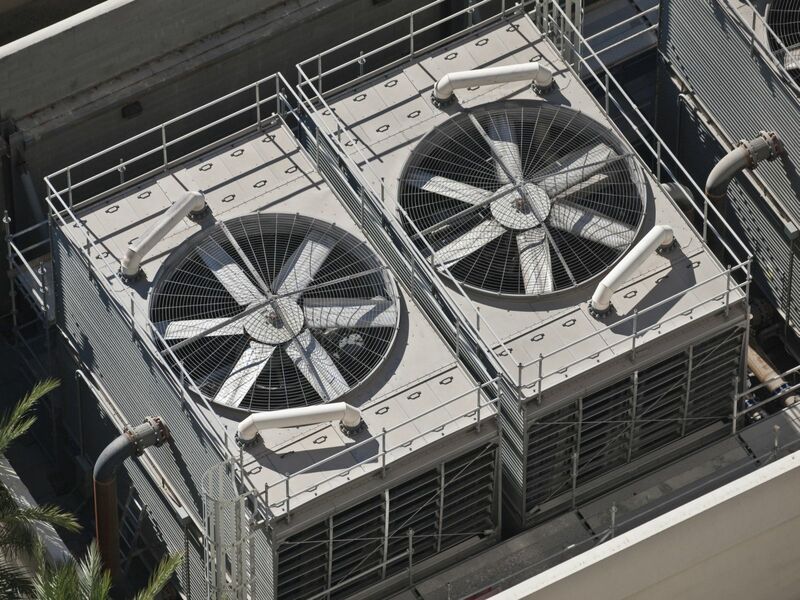 Cooling tower preventive maintenance and cleanings in Fort Lauderdale are essential to preserving the life of your cooling tower; but it’s the number one thing everyone forgets about every year. The performance and life of your cooling tower in Fort Lauderdale is directly associated to the care and attention it receives so let us help extend the life of your cooling tower. Airreo Air Conditioning can provide the preventive maintenance services to take care of your towers regardless of the age, model or manufacturer. With our experience, Airreo Air Conditioning has professional cooling tower experts in Fort Lauderdale that can perform the necessary inspections, preventive maintenance and cleanings on every essential part of your cooling tower. We provide a written inspection report to summarize findings and communicate any urgent recommendations for improved performance or reliability, as well as provide a plan to address long term issues going forward, with the purpose of maximizing life and minimizing repair costs. It pays to be proactive! For More Information on how our routine preventative maintenance program can Save You Money, Call Airreo Air Conditioning Today!
" After Multiple AC companies failed to Repair our Cooling tower, Airreo AC Sent out a Technician out within 24 hrs. & Not only did they fixed the problem, but after further inspection they were able to help us improve the current cooling performance. " " The process of getting a new AC installed in our store was made extremely easy & painless with Airreo Air Conditioning. Don’t know what I would’ve done with out them. Professional & Reliable! " " If your looking for a AC company to get your commercial cooling repair done right the first time? Airreo Air is the company you want, they were very knowledgeable & experienced which allowed them to diagnose the problem & repair it quickly." Airreo Air Conditioning Inc. is a full air conditioning contracting service company that has been serving the residents of South Florida for over 30 years. We have experience working with industrial, multi-family residential and commercial projects for both new and retrofit construction within Dade, Broward and Palm Beach Counties.